"Great group of people, made me feel very comfortable. Listened to what I was saying." "She was by far the best doctor I have seen for any of my five pregnancies." "I love Dr. Torres she has helped me beyond anything i could have imagined." "Dr. Torres is absolutely amazing! She is compassionate and super gentle!" 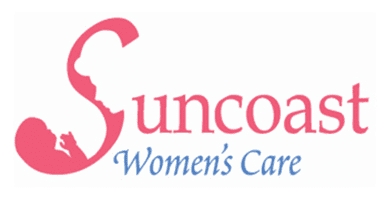 The team at Suncoast Women’s Care is devoted to providing gentle and comprehensive OB/GYN care for women by women. Serving the community of Trinity, Florida, Suncoast Women’s Care offers exceptional women’s health services in a comfortable environment where every patient feels valued and respected. Under the direction of Wanda Torres, MD, FACOG, a skilled physician with over 20 years of experience, Suncoast Women’s Care offers obstetrics, gynecology, and midwifery to women of all ages. Dr. Torres is an expert in innovative medical practices and has the qualifications to provide cutting edge services including robotic-assisted gynecologic surgery and the MonaLisa Touch® laser therapy to improve vaginal wellness. Women trust the outstanding team of providers at Suncoast Women’s Care for a wide array of health care options, including prenatal, labor and delivery, postnatal, and neonatal care, well-woman exams, breast cancer, and other health screenings, family planning, and minimally invasive procedures to treat urologic and gynecologic conditions. New patients will immediately feel at home at Suncoast Women’s Care. The team strives to educate and empower women to make informed choices about their health and is always available to answer questions and address concerns. Suncoast Women’s Care sees uninsured patients and accepts most major health insurance plans, and the staff speaks Spanish, too, so every woman in the Trinity area can receive the care she deserves. To learn more about comprehensive health services at Suncoast Women’s Care, schedule a consultation with a caring provider by calling the office, or make an appointment online. Having a high-risk pregnancy doesn’t mean that you can’t deliver a healthy baby. It does mean you need extra care and should take extra precautions. Here are seven things you need to know about high-risk pregnancy.